How can cultural institutions help to open up societies? Why does a change of perspective entail »unlearning« something—and is art necessary to this process? Elke aus dem Moore has been the new director of Akademie Schloss Solitude since May of this year. In conversation with Stuttgart curator Paula Kohlmann, she speaks about her approach to leading an institution, the relevance of societal pressures to her work, and her goals for Akademie Schloss Solitude. Click here to read the interview in German. 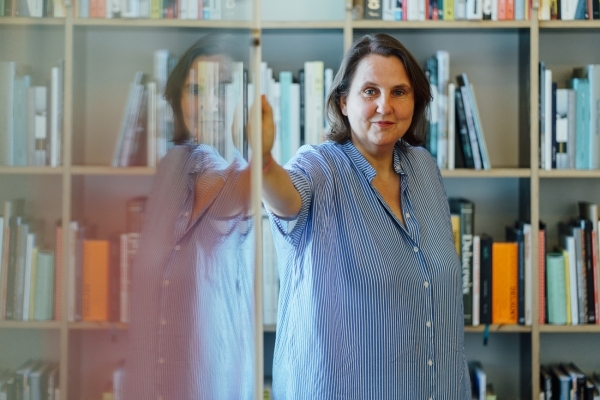 Paula Kohlmann: Having worked as a practicing artist, you stepped into leadership positions almost as soon as you began working as a curator, first at ShedhalleZurich, then at Künstlerhaus Stuttgart. After that you headed the art division at Institute for Foreign Cultural Relations (ifa), and now you’re starting as director of Akademie Schloss Solitude. You have always questioned the role of the senior leader within an existing institution. How do you reconcile the two? Elke aus dem Moore: In my role as curator of contemporary art at Shedhalle Zurich, I was part of a collective. It was a place for critical artistic practice: We very consciously worked on reshaping institutional structures by abolishing hierarchies. That influenced me greatly, especially in terms of how I interact with colleagues. I always see working with many people as a form of teamwork and I encourage leaving as much scope as possible for decision-making and responsibility. I think of leadership as guiding a process, and bringing together different energies and forms of expertise to make ideas visible. PK: The practice of curating can take very different forms. What do you understand by the term »curating«? What do you find interesting about it? EadM: Over the course of the past few years, the term »curating« has changed dramatically, as has my understanding of myself as a curator. While the term was long confined to exhibitions, it has since broadened considerably. I personally think of my work more in terms of curating a comprehensive institutional agenda. I am also really interested in developing new forms of encounters. For example, I worked with tools such as evolutionary dialogue during recent conferences and meetings  to enable a collective production of knowledge. I began to put together exhibitions and film lineups in the late 1990s. My main point of departure was seeing my own artistic works in the context of other artists’ works. My first exhibition was a small festival titled Days of Chez nous, which I and the artist Nina Könnemann put on in an empty apartment in St. Pauli, Hamburg. Our offerings included readings, installations, performances, dinners, and film screenings. For instance, Annette Wehrmann put on one of her paper-streamer performances, which were recently on display at the KW Institute for Contemporary Art in Berlin. There were two openings: one in daylight, where I exhibited my photographs, and one in darkness, where Nina showed her video works. Even though I didn’t actually use the term »curating« then, it was obvious that to me, the work of the curator meant putting something in context, creating points of access to art, and carving out and celebrating its potential. PK: That sounds very broad. What are your main priorities? EadM: My main points of focus in terms of content emerge from specific pressures. The Politics of Sharing  project – which I curated together with curator Misal Adnan Yildiz at the ifa galleries in Berlin and Stuttgart – stemmed from the idea that increasing fragmentation accompanies globalization processes. We wanted to reemphasize the idea of unity. We found a number of answers with indigenous artists, but we also focused on institutional and economic structures. In order to convincingly put this goal into practice as a representative of an institution, I invited the Indonesian collective KUNCI to use the Berlin gallery space as a site to consider the division of space and more for several weeks. Another example is me inviting the Zurich-based Neue Dringlichkeit collective to the ifa gallery in Stuttgart to reflect together on individual involvement in economic structures. Welcome address by State Secretary Petra Olschowski and Director Elke aus dem Moore at Akademie Schloss Solitude's summer feast, 2018. I have also been interested in and involved with alternative models of learning since I was young. The curator Sepake Angiama, aneducation from documenta 14 and I brought international participants together at the Under the Mango Tree gathering in order to talk about new ways of learning, primarily using workshops to lend dimensions of perception, experience, and learning to our conversation. These experiences now influence my shaping and repositioning of Akademie Schloss Solitude and I hope that we will hold a second gathering – this time not beneath Kassel’s oak trees but beneath the lime trees of Stuttgart. PK:What is it that drives and motivates your work on these different projects? EadM: An engagement with communities drives many of my projects: the policies, practices, but also the places of communities. Topics range from our shared lives on this planet and the division of resources to communal learning and the city as a community space. The exhibition project An Atlas of Commoning  , which I initiated and curated with a team from ARCH+ magazine, revolves around the idea of the city as a space for community. It opened at the Kunstraum Kreuzberg/Bethanien in Berlin in June 2018 and will travel on to other locations. It presents international initiatives that have developed a practice of communal creation (such as Planbude in Hamburg, Prinzessinnengärten in Berlin,Auroville near Pondicherry in India, and many more). That was the last project I produced in my role as director of the art division at ifa. That brings me on to future plans. Looking forward, I would like to focus on joint transdisciplinary works at Akademie Schloss Solitude. Alongside the open fellowships, there will also be topic-specific calls for proposals open to applicants from various disciplines. The plan is to enable collaborative research and work in different forms. One possible theme could be art and the public sphere. PK: With this in mind, how do you see your role as director and curator of an institution? EadM: I have come to understand institutional curating as also being a creative process that contains curatorial aspects. The central approach is to respond with great ease and the highest possible flexibility to an established structure that constantly calls itself into question and continues to develop. Developing a program for international art exchange means connecting with many different subjectivities and states of being – taking on both inner and external perspectives – and at the same time promoting collective learning. Approaches from other countries can be highly enriching, which is why it is important to make them better known in Germany as well. This requires a willingness to repeatedly empty oneself and leave one’s own ideas behind (or become aware of them) to respond to new approaches and practices. I call this »the practice of don’t know«. PK: In keeping with your personal approach, you also encourage institutions to recognize the necessity of changing existing structures: »The forms of Western thinking and knowledge production in the West have taken on a one-dimensionality through exclusion of other forms of knowledge and the formulation of a claim to universality and therewith reached their limits,« you wrote in your »Manifesto of Change//Manifesto institutionale«  in 2014. How exactly is that relevant for how institutions position themselves today? EadM: This is very important to me. Slowly, people who are part of institutions are recognizing the privileges that they hold. Reflecting on this is essential: Where do these privileges come from? How do I make use of them? I have always been interested in why we live in a world full of inequity and injustice. Why do we tolerate this disharmony and why have we become so accustomed to violent processes, for instance in how we treat nature as well as other human beings? When did this division begin, which has led to people not to see themselves as part of a united humanity that breathes the same air and lives together on one planet – sharing a responsibility for and a connection with one another? The ways globalization has changed the world make it both essential and meaningful to examine systems of knowledge previously excluded from the Western canon. Since the Enlightenment, Western knowledge, belief, and value systems heavily focused on the rational and claiming a universal validity have developed. This claim to universality – which has endured for more than 200 years and dominates and excludes all other, non-Western knowledge systems – laid the foundations for colonialism and racism, and is based on an assumption of differences between people that simply do not exist in factual or scientific terms. This judgmental categorization of differences leads to oppression and racism. We remain influenced by these structures based on the exclusion and the violent dominance of one group over another. Many current conflicts are rooted in the as-yet-unprocessed crimes and genocides of the colonial era. I see challenging colonialism and racism – a part of our history that so often has been repressed – as essential for our coexistence. Solitude temple with fellows and guests. PK: In your work to date you have demonstrated what a possible »end to Western thinking« could mean in practical terms. This is true of the Under the Mango Tree symposium we have already touched on briefly, which explored new approaches to a contemporary and expanded understanding of learning and knowledge production: collective learning, »unlearning,« indigenous knowledge, oral transmission, and nonhierarchical models of exchange. How do you see the relationship between knowledge, art, and society? EadM: The point is not the end of Western thinking in general, but rather the end of the universal thought behind it: it is about dominance. It is about understanding that this is just one way of thinking among many different systems of thought, knowledge, and belief upon which human conduct is based. In the Western world, knowledge and power are conflated: »Knowledge is power!« is a piece of folk wisdom that shaped my upbringing. But what kind of knowledge is meant? Is it the kind of knowledge that is always formally taught? Indian pedagogue Manish Jain  once said that »the first university I attended was my grandmother’s.« An interest that I share with Sepake Angiama, whom I worked with as part of documenta 14, is which educational models artists themselves have primarily developed. »Unlearning« is mainly about understanding individual systems and the patterns of behavior associated with them. They are often based on privileges which in turn have power. PK: What potential do you see for this type of shift in thinking or new thinking in a place like Akademie Schloss Solitude, where artists and thinkers from various disciplines and different cultural backgrounds come together from all parts of the world? EadM: I see an international and transdisciplinary artist residency program as an enormous resource, a great opportunity for the development of a region and a city. After all, a huge variety of perspectives and approaches come together here. I see my task as making the perspectives of very different public spheres accessible, recognizing a possible potential for change and communicating it. Education, also in the sense of unlearning, is central to change the world. Education always begins when you see something with fresh eyes. Taking on another perspective is the foundation for change. The presence of international artists and thinkers, too, can lead to a change of perspective. I’d like to define Akademie Schloss Solitude as a space for the collective imagination, a place which invites action and which inspires, initiates, and supports societal processes of change – through the work of the fellows involved. PK: Opening up, translating, unlearning – how are these abstract terms made visible and understood in projects? PK: What are you practicing at the moment? EadM: I’m practicing consciously taking a stance and being aware of all the accompanying wishes, projections, and ideas. And practicing maintaining a vision while not getting tangled up in the details. Welchen Beitrag können Kulturinstitutionen zur Öffnung von Gesellschaften leisten? Warum bedeutet ein Perspektivwechsel auch etwas zu »verlernen« – braucht es dafür Kunst? Seit Mai dieses Jahres ist Elke aus dem Moore neue Direktorin der Akademie Schloss Solitude. Im Gespräch mit der Stuttgarter Kuratorin Paula Kohlmann spricht sie über ihr Selbstverständnis als Leiterin einer Institution, über die Relevanz gesellschaftlicher Dringlichkeiten für ihre Arbeit und die Ziele für die Akademie Schloss Solitude. Paula Kohlmann: Selbst aus einer künstlerischen Produktion kommend, hast du fast zeitgleich mit Beginn deiner kuratorischen Tätigkeit Führungspositionen übernommen: Erst in der Shedhalle Zürich, später im Künstlerhaus Stuttgart. Anschließend hast du die Kunstabteilung des ifa (Institut für Auslandsbeziehungen) geleitet und beginnst nun als Direktorin der Akademie Schloss Solitude. Die Rolle der leitenden Intendanz innerhalb eines bestehenden Systems hast du dabei immer auch in Frage gestellt – wie geht das einher? Elke aus dem Moore: In der Shedhalle Zürich war ich als Kuratorin für zeitgenössische Kunst Teil eines Kollektivs. 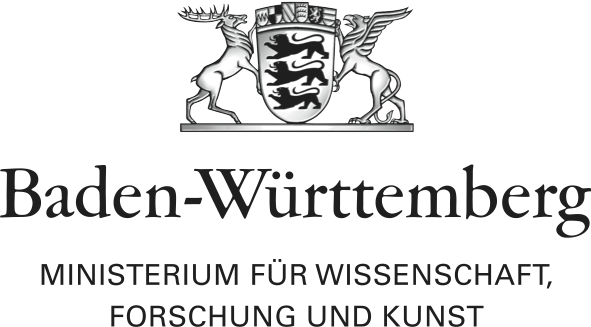 An diesem Ort einer kritischen Kunstpraxis wurde ganz bewusst durch das Aufheben von Hierarchien an den institutionellen Strukturen gearbeitet. Das hat mich sehr geprägt, vor allem im Umgang mit den Kolleg*innen. Ich verstehe ein Arbeiten mit mehreren Personen immer als Teamarbeit und plädiere dafür, dass mit möglichst viel Entscheidungs- und Verantwortungsspielraum umgegangen wird. Ich verstehe Führung als Anleiten eines Prozesses, als ein Zusammenführen von verschiedenen Energien und Expertisen in die Manifestation von Ideen. PK: Kuratieren als Praxis kann sehr unterschiedliche Formen annehmen. Wie verstehst du für dich den Begriff des Kuratierens, was ist für dich daran interessant? EadM: Der Begriff des Kuratierens hat sich im Laufe der letzten Jahre sehr stark verändert und ebenso mein Selbstverständnis. Während der Begriff lange auf Ausstellungen beschränkt war, hat er sich inzwischen ganz wesentlich erweitert. Ich selbst verstehe meine Arbeit eher im Sinne des Kuratierens einer gesamten institutionellen Programmatik. Darüber hinaus bin ich sehr daran interessiert, neue Formen von Zusammenkünften auszuarbeiten. Zum Beispiel habe ich für die letzten Konferenzen und Zusammenkünfte  mit Formaten gearbeitet, die eine kollektive Wissensproduktion ermöglichen, wie beispielsweise dem evolutionären Dialog. Ende der 1990er Jahre habe ich damit angefangen, Ausstellungen und Filmprogramme zusammenzustellen. Eigene künstlerischen Arbeiten im Kontext der Arbeiten anderer Künstler*innen zu sehen, war der zentrale Ausgangspunkt. Meine erste Ausstellung war ein kleines Festival mit dem Titel Days of Chez nous, das ich mit der Künstlerin Nina Könnemann in einer leeren Wohnung in Hamburg-St. Pauli veranstaltet habe. Es gab unterschiedliche Formate wie Lesungen, Installationen, Performances, Dinners, Filmscreenings. Zum Beispiel hat Annette Wehrmann eine ihrer Luftschlangenperformances dort gezeigt, die vor Kurzem in den Kunstwerken in Berlin zu sehen war. Es gab zwei Eröffnungen: eine im Hellen, wo ich meine Fotografien ausstellte, und eine im Dunkeln, bei der Nina Könnemann ihre Videoarbeiten projizierte. Auch wenn ich damals den Begriff des »Kuratierens« nicht für mich in Anspruch genommen habe, war recht klar, dass die Arbeit als Kuratorin für mich bedeutet, etwas in einen Kontext zu setzen, Zugänge zur Kunst zu schaffen und ihr Potential herauszuarbeiten und zu zelebrieren. Von Anfang an haben mich unterschiedliche Formate interessiert, da ich das Format der Ausstellung als sehr begrenzt erlebe. Kunstausstellungen sind oft Orte der Kontemplation – Kunst reflektiert verschiedene Aspekte unseres Seins (ob politische, soziale, spirituelle oder psychologische) und erlaubt es uns, uns in nicht-kognitiven Wissensschichten zu bewegen, die wir üblicherweise in unserem Alltag (in der westlichen Welt) nicht aktivieren. Ich verstehe Kunst als Ort des Sozialen. Eine Ausstellung, Präsentation, Performance, ein Screening, Konzert, eine Lesung sind ein rituelle – und damit auch gemeinschaftsstiftende – Ereignisse. Etwas, das in unserer individualisierten Welt sehr fehlt. Ich würde so weit gehen, zu sagen, dass Kunst in diesem Sinne demokratiestärkend wirkt. Genau daran bin ich interessiert: an dem Kreieren von Orten des gemeinsamen Erlebens oder der kollektiven Imagination. PK:Das klingt sehr groß, wo setzt du deine Schwerpunkte? EadM:Inhaltliche Schwerpunkte ergeben sich aus einer bestimmten Dringlichkeit. So war ein von dem Kurator Misal Adnan Yildiz und mir kuratiertes Projekt Politics of Sharing  , das 2016 in den ifa Galerien in Berlin und Stuttgart stattfand, dem Gedanken geschuldet, dass Globalisierungsprozesse mit einer zunehmenden Partikularisierung einhergehen und wir den Gedanken der Einheit wieder hervorheben wollten. Wir fanden viele Antworten bei indigenen Positionen, befassten uns aber auch mit institutionellen oder ökonomischen Strukturen. Um dieses Anliegen als Vertreterin einer Institution glaubwürdig umzusetzen, lud ich das indonesische Kollektiv KUNCI ein, den Galerieraum in Berlin mehrere Wochen als Ort zu nutzen, um über das Teilen von Raum und darüber hinaus nachzudenken. Ein anderes Beispiel ist die Einladung des Kollektivs Neue Dringlichkeit aus Zürich in dieifa Galerie Stuttgart, um gemeinsam über das eigene Involviert-Sein in ökonomische Strukturen zu reflektieren. Ein anderer Strang meines Interesses liegt in alternativen Lernmodellen, etwas, das mich bereits seit meiner Jugend sehr interessiert und beschäftigt. Mit der Kuratorin Sepake Angiama und aneducation der documenta 14 brachten wir in Kassel und Athen internationale Akteur*innen für die Versammlung Under the Mango Tree zusammen, um über neue Arten des Lernens zu sprechen und vor allem, um dieses Nachdenken in Workshops als Erfahrung spürbar, erfahrbar und lernbar zu machen. Diese Erfahrungen fließen nun in die Gestaltung und Neupositionierung der Akademie Schloss Solitude ein und ich hoffe, dass wir ein zweites Treffen – diesmal nicht unter den Eichen in Kassel, sondern unter der Linde in Stuttgart – veranstalten werden. PK: Welche Motivation treibt dich bei diesen unterschiedlichen Projekten an? EadM: Viele meiner Projekte werden getrieben von der Auseinandersetzung mit Gemeinschaft: den Strategien, Praktiken, aber auch Orten von Gemeinschaften – die Themenfelder reichen von dem gemeinsamen Leben auf diesem Planeten, dem Teilen der Ressourcen, über gemeinsames Lernen bis hin zur Stadt als Ort der Gemeinschaft. In dem, von mir initiierten und gemeinsam mit einem Team um ARCH+ kuratierten, Ausstellungsprojekt An Atlas of Commoning  , das im Juni 2018 im Berliner Kunstraum Kreuzberg/Bethanien eröffnet wurde und im Anschluss weiterreisen wird, steht die Stadt als Ort der Gemeinschaft im Vordergrund. Es werden internationale Positionen vorgestellt, die eine Praxis des Gemeinschaffens entwickelt haben (wie zum Beispiel Planbude in Hamburg, Prinzessinnengärten in Berlin,Auroville in der Nähe von Pondicherry in Indien, u.v.a.). Das war das letzte Projekt, das ich noch in meiner Funktion als Leiterin der Kunstabteilung imifa realisiert habe. Das führt mich zu den weiteren Plänen. In Zukunft möchte ich an der Akademie Schloss Solitude das gemeinsame transdisziplinäre Arbeiten herausstellen. Es wird neben den freien Stipendien auch themengebundene Ausschreibungen geben wird, auf die sich Stipendiat*innen aus verschiedenen Disziplinen bewerben können. Es ist geplant, dass dann in unterschiedlichen Formaten gemeinsam geforscht und gearbeitet wird. Ein mögliches Thema könnte hier »Kunst und Öffentlichkeiten« sein. PK: Wie definierst du vor diesem Hintergrund deine Rolle als Leitung und Kuratorin einer Institution? EadM: Inzwischen begreife ich das Kuratieren von Institutionen auch als kreativen Prozess, der kuratorische Aspekte beinhalten kann. Die zentrale Haltung ist: Mit großer Leichtigkeit und höchstmöglicher Beweglichkeit einer gefestigten Struktur begegnen, die sich immer wieder infrage stellt und weiterentwickelt. Ein Programm für den internationalen Kunstaustausch zu erarbeiten, bedeutet, sich mit vielen unterschiedlichen Subjektivitäten und Seinszuständen zu verbinden – die Perspektive von innen und von außen gleichzeitig einzunehmen – und im selben Augenblick das gemeinsame Lernen voranzutreiben. Ansätze aus anderen Ländern sind sehr bereichernd und von daher ist es wichtig, sie auch in Deutschland bekannt zu machen. Das erfordert die Bereitschaft, sich immer wieder leer zu machen, die eigenen Vorstellungen hinter sich zu lassen (oder sich bewusst zu machen), um anderen Ansätzen und Praktiken zu begegnen. Ich nenne das die Praxis des Nicht-Wissens. PK: Gemäß dieses Selbstverständnisses forderst du auch Institutionen auf, die Dringlichkeit einer Veränderung der bestehenden Strukturen anzuerkennen: »Die Formen des westlichen Denkens und der Wissensproduktion des Westens haben durch Ausgrenzung anderer Wissensformen und durch die Formulierung eines Universalitätsanspruchs, eine Eindimensionalität und damit ihre Grenzen erreicht« schreibst du in deinem Manifest Manifesto of Change// Manifesto institutionale  von 2014. Was genau bedeutet das für die Positionierung von Institutionen heute? EadM: Das ist mir ein wichtiges Anliegen. Langsam begreifen die Menschen in den Institutionen, mit welchen Privilegien sie ausgestattet sind. Das zu reflektieren sehe ich als zentral an: Woraus ergeben sich diese Privilegien? Wie gehe ich damit um? Mich hat es immer sehr beschäftigt, warum wir in einer Welt voller Ungleichgewicht und Ungerechtigkeit leben. Warum wir diese Disharmonie aushalten und uns so sehr an gewaltvolle Prozesse, zum Beispiel im Umgang mit der Natur, aber auch mit anderen Menschen gewöhnt haben. Wann hat die Trennung eingesetzt, die dazu führte, dass Menschen sich nicht als Teil einer Menschheit verstehen, die miteinander verbunden ist, die die gleiche Luft atmet und die miteinander auf einem Planeten lebt – in Verantwortung und Verbundenheit für- und miteinander? Die Veränderungen in der Welt im Rahmen der Globalisierung machen es notwendig und sinnvoll, sich mit Wissenssystemen zu beschäftigen, die bisher vom westlichen Kanon ausgeschlossen wurden. Seit der Aufklärung hat der Westen Wissens-, Glaubens- und Wertesysteme entwickelt, die stark auf das Rationale fokussiert sind und die gewaltsam einen universellen Geltungsanspruch für sich proklamierten. Dieser seit über 200 Jahren andauernde Anspruch auf Universalität, der alle anderen, nicht westlichen Wissenssysteme dominiert und exkludiert, war Nährboden für den Kolonialismus und Rassismus, der von einer Unterschiedlichkeit von Menschen ausgeht, die rein sachlich oder wissenschaftlich nicht besteht. In dieser wertenden Kategorisierung von Unterschiedlichkeiten liegt die Ursache für Unterdrückung und Rassismus. Wir sind noch immer von diesen Strukturen beeinflusst, die auf Abgrenzung und auf der gewaltvollen Überhöhung der einen über die anderen fußen. Viele aktuelle Konflikte haben ihre Wurzeln in denbisher nicht aufgearbeiteten Verbrechen und Genoziden der Kolonialzeit. Ich sehe eine große Chance in der Auseinandersetzung mit dem Kolonialismus und Rassismus, diesem bisher oft verdrängten Teil unserer Geschichte, der so grundlegend ist für unser Zusammenleben. PK: In deiner bisherigen Arbeit zeigst du auf, was so ein mögliches »Ende des westlichen Denkens« bedeuten kann, so auch bei dem vorher kurz erwähnten Symposium Under the Mango Tree, das neue Zugänge zu einem zeitgenössischen und erweiterten Verständnis des Lernens und der Wissensproduktion untersuchte: Kollektives Lernen, »unlearning«, indigenes Wissen, mündliche Überlieferung und nicht-hierarchische Modelle des Austauschs. In welchem Verhältnis stehen für dich Wissen, Kunst und Gesellschaft? EadM: Es geht nicht um das Ende des westlichen Denkens generell, es geht um das Ende des universellen Gedankens dahinter: um das Ende der Dominanz. Es geht darum zu begreifen, dass das nur eine Art des Denkens unter vielen unterschiedlichen Denk-, Wissens- und Glaubenssystemen ist, auf denen das Handeln der Menschen basiert. In der westlichen Welt ist Wissen mit Macht besetzt: »Wissen ist Macht!« ist eine Volksweisheit, die meine Erziehung geprägt hat. Doch welches Wissen ist damit gemeint? Ist es ausschließlich formal vermitteltes Wissen? »Die erste Universität, die ich besuchte, war die meiner Großmutter«, sagte einmal der indische Pädagoge Manish Jain  . Ein Interesse, das ich mit Sepake Angiama teile, mit der ich im Rahmen der documenta 14 zusammengearbeitet habe, ist, welche edukativen Modelle vor allem von Künstler*innen selbst entwickelt wurden. Beim »unlearning« oder Verlernen geht es vor allem darum, eigene Systeme und die damit verbundenen Handlungsmuster zu begreifen. Oft basieren sie auf Privilegien, die mit Macht ausgestattet sind. PK: Welches Potential siehst du für ein solches Umdenken oder Andersdenken an einem Ort wie der Akademie Schloss Solitude, wo Künstler*innen und Wissenschaftler*innen aus verschiedenen Disziplinen und unterschiedlichsten kulturellen Hintergründen aus allen Regionen der Welt zusammenkommen? EadM: Ich sehe in einem internationalen und transdisziplinären Künstler*innen-Residenzprogramm eine enorm große Ressource, ein riesiges Potential für die Weiterentwicklung einer Region, einer Stadt. Denn so viele unterschiedliche Sichtweisen und Herangehensweisen kommen hier zusammen. Meine Aufgabe sehe ich darin, diese Sichtweisen stärker verschiedenen Publikumskreisen zugänglich zu machen, ein mögliches Potential für Veränderung zu erkennen und dann weiter zu vermitteln. Um die Welt zu verändern, ist Bildung, auch im Sinne des Verlernens, der Schlüssel. Bildung beginnt immer da, wo man etwas mit anderen Augen sieht. Das Einnehmen einer anderen Perspektive bildet die Grundlage für Veränderung. So kann die Anwesenheit von internationalen Künstler*innen und Wissenschaftler*innen mit einem Perspektivwechsel einhergehen. Ich möchte die Akademie Schloss Solitude als Raum der kollektiven Imagination verorten, ein Ort, der zum Handeln einlädt und gesellschaftliche Veränderungsprozesse durch die involvierten Stipendiat*innen inspiriert, initiiert und begleitet. PK: Öffnen, Übersetzen, Verlernen – wie werden diese »abstrakten Begriffe« in Projekten sichtbar und verhandelt? EadM:Ich übe, bewusst eine Position einzunehmen und dabei alle Wünsche, Projektionen und Konzepte, die damit verbunden sind, wahrzunehmen. Die Weitsicht zu wahren, ohne mich in Einzelheiten zu verstricken. Jump Up Curating under Pressure [Aotearoa/New Zealand, 2015] and Under the Mango Tree [Athens/Kassel, 2017]. Jump Up I have just come from an evening with the philosopher and civil rights campaigner Angela Davis and the theorist Gayatri Spivak on Planetary Utopias – Hope, Desire, Imaginaries in a Post-Colonial World put together by Nikita Dhawan, the third Colonial Repercussions symposium in an event series organized by the Federal Agency for Civic Education and the Academy of Arts of Berlin on June 23–24, 2018. Davis introduced her talk with examples from jazz and all 700 of us listened to the music together. She thus demonstrated the theory that the group prepares every jazz solo. It is important to be aware that we perform and create as a community. Jump Up Elke aus dem Moore, ed., Politics of Sharing – On Collective Wisdom [Stuttgart: ifa Publications, 2017]. Jump Up »An Atlas of Commoning: Orte des Gemeinschaffens,« ARCH+ 232, 2018. Jump Up Elke aus dem Moore: »Manifesto of Change//Manifesto Institutionale,« in: freier – magazine for the mental state, Simone Gilges [ed. ], 6: Austausch/Exchange/Échange, pp. 21–22. Jump Up Manish Jain: »McEducation. Monokultur oder Vielfalt in der globalen Bildung?,« in: evolve, 14, 2017, pp. 58–61. Jump Up Elke aus dem Moore: »Imagination, Joy & Trust – Collective Wisdom: Kulturelle Übersetzung im Feld internationaler Kulturarbeit,« in: Christiane Dätsch, Kulturelle Übersetzer: Kunst und Kulturmanagement im transkulturellen Kontext, Bielefeld 2018, pp. 53–66. Jump Up In her 2018 Berlin lecture, Angela Davis proposed an attitude of hyperempathy to bring about social change. The protagonist of Octavia Butler’s sci-fi novel Parable of the Soweris endowed with this ability to feel the pain of her opponent [perhaps the supposed »enemy«]. Jump Up Ich komme gerade von einem Abend mit der Philosophin und Bürgerrechtlerin Angela Davis und der Theoretikerin Gayatri Spivak zu Planetary Utopias – Hope, Desire, Imaginaries in a Post-Colonial World, Colonial Repercussions III zusammengestellt von Nikita Dhawan, einer Veranstaltungsreihe der Bundeszentrale für Politische Bildung und der Akademie der Künste in Berlin am 23./24. Juni 2018. Angela Davis führte in ihren Vortrag mit Beispielen aus dem Jazz ein, und wir hörten dort gemeinsam mit 700 Menschen Musik. Sie unterstrich damit die These, dass jedes Solo im Jazz gemeinsam von der Gruppe vorbereitet wird. Etwas, das wichtig ist, sich bewusstzumachen: Dass wir aus einer Gemeinschaft heraus agieren und auch kreieren. Jump Up Elke aus dem Moore[Hg. ], Politics of Sharing – On Collective Wisdom, Stuttgart: ifa Publikationen 2017. Jump Up ARCH+, »An Atlas of Commoning: Orte des Gemeinschaffens«, 2018, Heft 232. Jump Up Elke aus dem Moore, »Manifesto of Change/ Manifesto Institutionale«, in: Simone Gilges [Hg. ], freier – magazine for the Mental state, 6: Austausch/ Exchange/Èchange, S. 21-22. Jump Up Manish Jain, »McEducation. Monokultur oder Vielfalt in der globalen Bildung?«, in: evolve, 2017, Heft 14, S. 58-61. Jump Up Elke aus dem Moore, »Imagination, Joy & Trust – Collective Wisdom: Kulturelle Übersetzung im Feld internationaler Kulturarbeit«, in: Christiane Dätsch, Kulturelle Übersetzer: Kunst und Kulturmanagement im transkulturellen Kontext, Bielefeld: transcript Verlag 2018, S. 53-66. Jump Up Angela Davis schlägt in ihrem, in Berlin 2018 gehaltenen Vortrag, die Haltung der »Hyperempathy« vor, um gesellschaftliche Veränderung herbeizuführen. Eine Fähigkeit, auch den Schmerz des Gegenübers [vielleicht des vermeintlichen »Feindes«] empfinden zu können, mit der die Protagonistin aus Octavia Butlers Sci-Fi-Romans Parable of the Sower ausgestattet ist. Elke aus dem Moore studied literature and science of art in Osnabrück, Zurich and Bochum and was curator for contemporary art at Shedhalle in Zurich from 1999 to 2002. From 2003 to 2006 she was responsible for the international exhibition program of Künstlerhaus Stuttgart as artistic director. She has published numerous catalogs and articles and is the initiator and co-founder of the online magazine Contemporary and (C&) and of the International Biennial Association – IBA. Elke aus dem Moore was the head of the visual arts department at ifa – Institute for international relationsuntil end of April 2018. During her tenure there, she designed the program for international art exchange through exhibitions, conferences, funding programs, and workshops. One of her latest projects was the gathering »Under the Mango Tree – Sites of Learning« in cooperation with aneducation, documenta 14. Elke aus dem Moore’s curatorial and programmatic approach is based on the principles of encounter, exchange, and dialogue. The interconnection of global social questions with local experiences and a contemporary art practice are characteristic for her curatorial work. Who should take care of public space? In a new series Paula Kohlmann talks with people who are running projects that intervene in the art scene of a city.